Happy Labor Day! I am visiting my mom in Oregon, but I though I should put out my favorites post for last week. Better late than never! This week I am loving products to make my skin glow, protect and firm my facial skin, give a smooth shave and treat my scalp. What products are you loving this week? Please leave a comment and let me know! 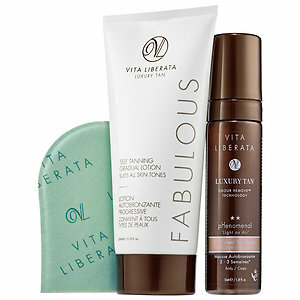 Vita Liberata pHenomenal Mousse and Fabulous Self Tanning Gradual Lotion Set ($39 USD) — Inclusive of VITA LIBERATA favorites pHenomenal Mousse, Fabulous Gradual Tan Lotion and mini Tanning Mitt, the Sephora.com-Exclusive Labor Day Set has all your tanning needs covered to ensure you have the best skin finishing glow for your last summer hoorah this coming Labor Day weekend, and to extend your summer glow well into fall! The pHenomenal Mousse provides the world’s longest lasting tan in a superbly hydrating formula that encourage the most beautiful, natural and conditioning 2-3 week tan. The Fabulous Gradual Tan Lotion is an ultra-hydrating tan lotion that applies clear for zero transfer onto clothes and develops lasting color over 4-8 hours. What I think: Both of these products are amazing! The mousse is extremely easy to apply and will give a deep tan in a few hours. If you use it for a few days, you can keep the tan for a few weeks. And to continue the tan (and add moisture), use the gradual lotion every day. Fabulous! 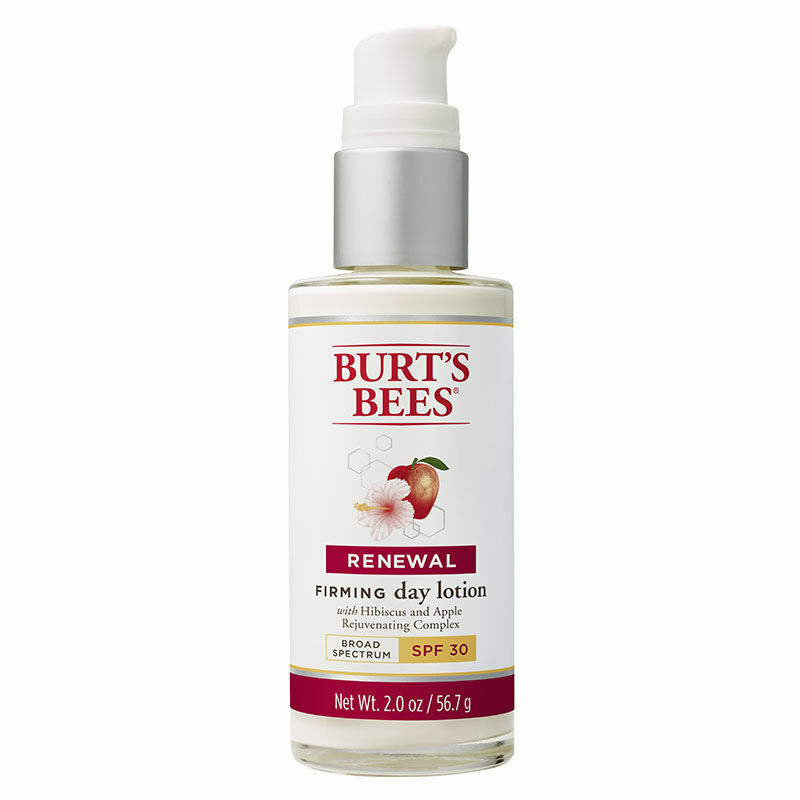 Burt’s Bees Renewal Firming Day Lotion with SPF 30 ($20 USD) — This lightweight, fast-absorbing moisturizer is clinically shown to help improve firmness and reduce the appearance of deep lines and wrinkles. Powerful natural anti-aging ingredients help restore the appearance of your skin’s smooth, firm texture, while natural broad spectrum SPF 30 protects against sun damage. What I think: Day creams with SPF are usually heavy and greasy. This one is so light, it sinks right into the skin. That is great for applying makeup afterwards. My skin looks very smooth after use. I will continue using it to see if it firms well. eos Travel Shave Cream ($1 USD) — Packed with natural conditioning oils, shea butter, and vitamins C and E, the eos Travel Shave Cream in Pomegranate Raspberry is a necessity for keeping legs moisturized all day and night! It is the only shave cream that keep skin soft, smoothed, and moisturized for 24 hours – even after rinsing! And thanks to the TSA-approved eos Travel Shave Cream your legs will be smooth wherever your Labor Day travels bring you! What I think: This size is small enough for travel, but large enough to get at least a week of shaving in! It smells so good and really makes my legs smooth and soft after shaving. I love this line of natural products! L’Occitane Aromachologie Revitalizing Fresh Scalp Tonic ($26 USD) — This silicone-free tonic helps refresh, revitalize and purify the scalp to leave hair shining with beauty. This ultra-fresh formula combines 5 essential oils (mint, thyme, grapefruit, cedar and lavender) with a plant-based vinegar and allantoin to help purify and soothe the scalp, while reducing excess sebum. What I think: I’ve heard that the secret to gorgeous hair is to treat the scalp — a healthy scalp means healthy hair. This smells amazing and really makes my scalp feel clean. I do notice that my hair is shinier after use! Next postGlam Up With Tarte’s EnergyNoir Collection This Fall!